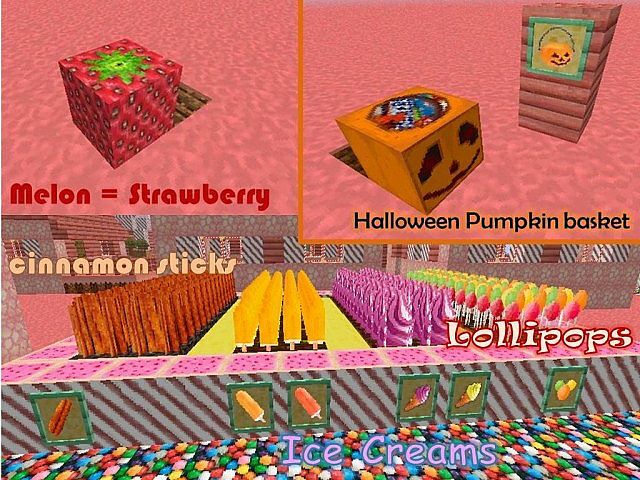 As the name of this Texture Pack: Sugarpack, with this, you will be wallow into a sweet world. 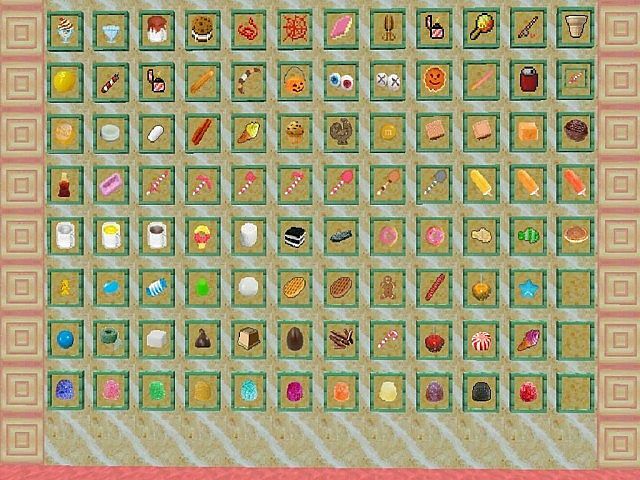 All in this pack is re-textured to the subject of sugar and confection. 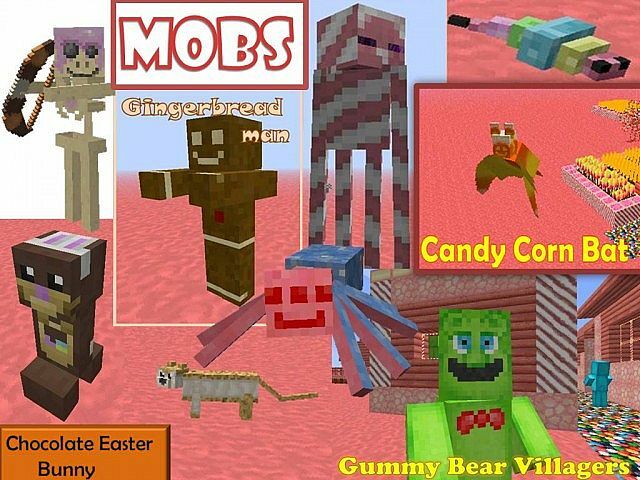 If you are want some happy things in Minecraft, check it now! 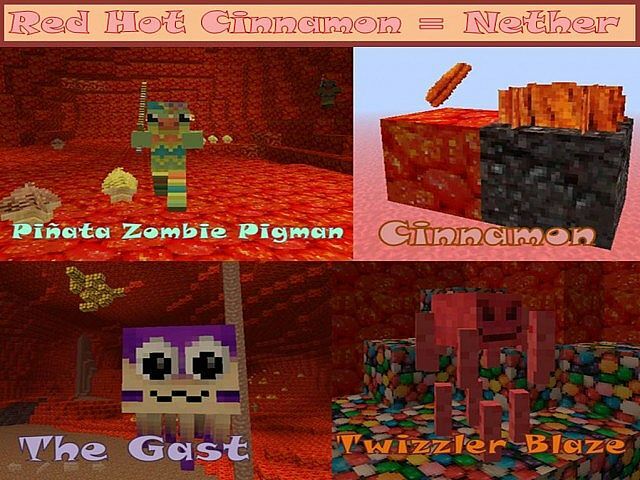 The Sugarpack Texture Pack provides all items in many color majority in bright from Pinata Zoombie Pigman, cinnamon, the gast, twizzler blaze are so lovely. 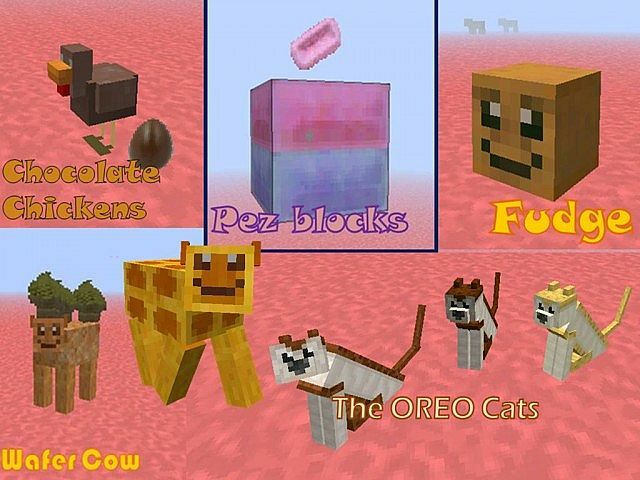 In addition, the creator has designed the chocolate chicken, pez blocks, fudge and water cow. And more amazing thing in this pack. How to install the Sugarpack texture pack? 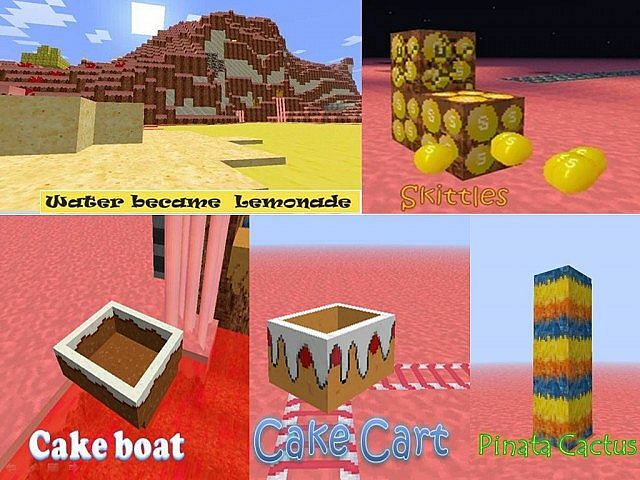 See some The Sugarpack texture pack for Minecraft 1.8 previews and don’t forget leave us your comment below!